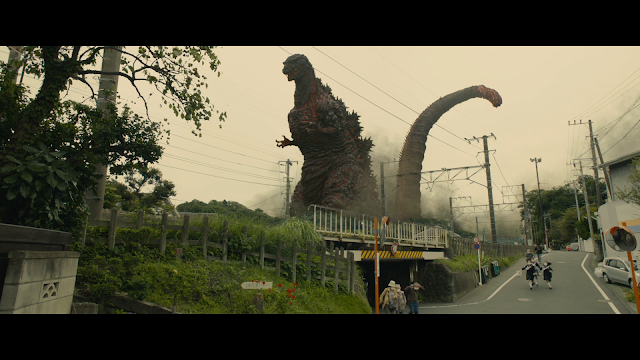 While the 2014 Godzilla gave us the monster that we have come to love, this Godzilla is the monster that we met more than 60 years ago. He is leaner, meaner, and surprisingly scary. Three guys who work for Funimation and a Godzilla comic book artist sit around a table and do a podcast style show. 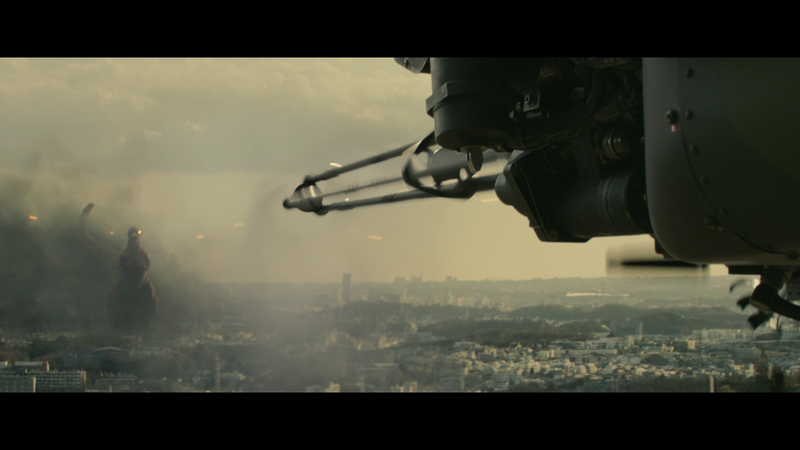 They talk about seeing the film for the first time and their favorite moments from the film. There are no special features found on the DVD. 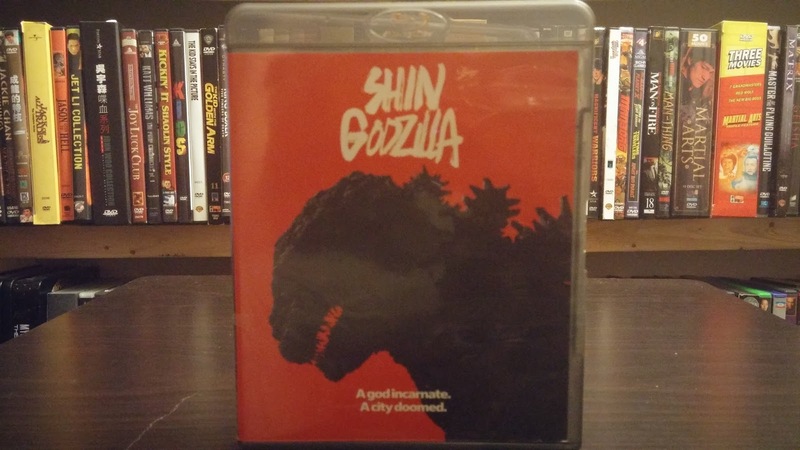 The slip sleeve features the original American theatrical poster with a silhouette of Godzilla against a red background. 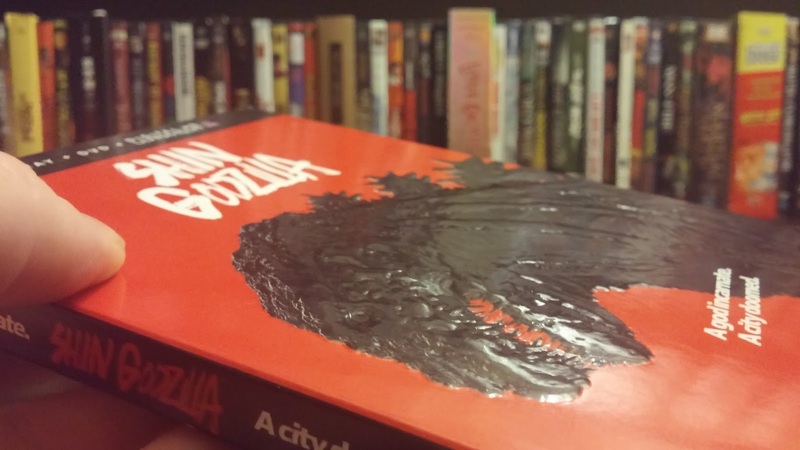 The title and Godzilla are embossed and look and feel great. The title of the film and the film's tagline (a god incarnate. 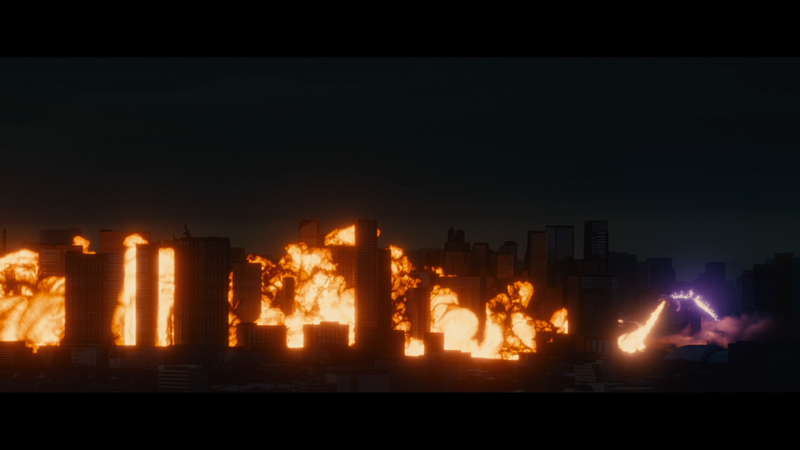 A city doomed.) are in white. The only thing that hurts this cover is the stripe at the top that tells us that this is a combo pack. 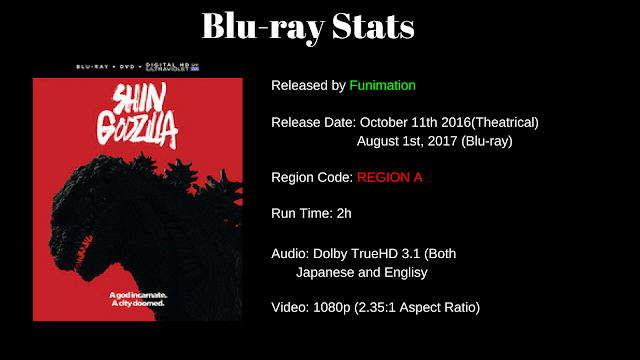 Fortunately, Funimation made the stripe black, so it doesn't stand out too much. The front cover is the same as the slip, only it does not have the stripe at the top. The back cover gives some nice screengrabs as well as all the info that we need to know about the film and the discs included. There is some art of the reverse side of the cover art. 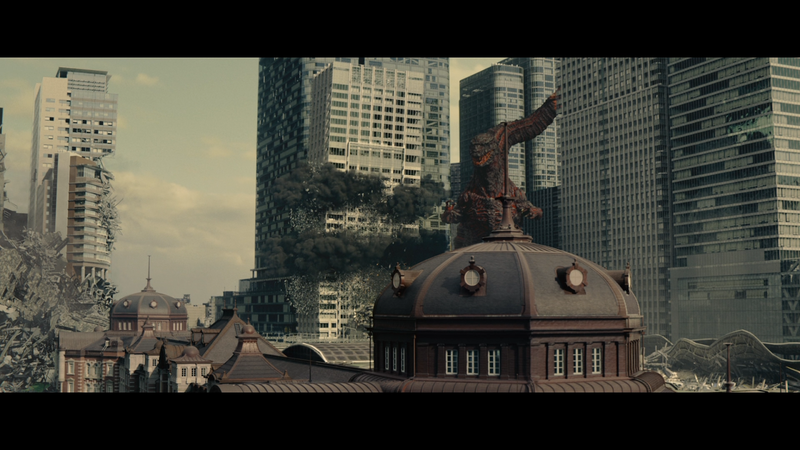 It shows Godzilla, in his final form, against a background of various shades of white. 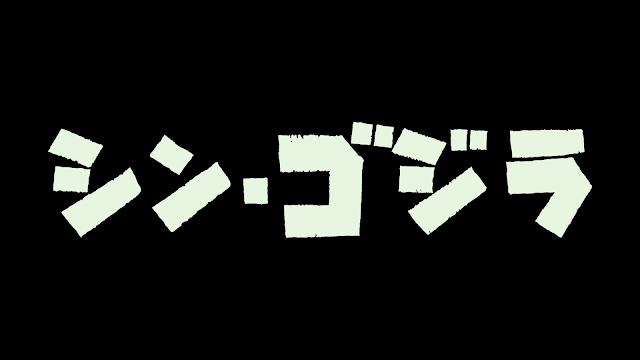 The title of the film is written in red. 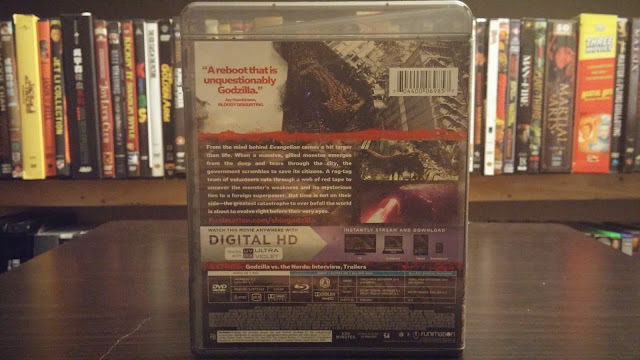 This would not be seen by as the case for the film, a really nice black case, is not transparent. I don't know why Funimation did not use a transparent black case for this release. I had one lying around and switched the cases out and it looks great. The disc art is very nice. 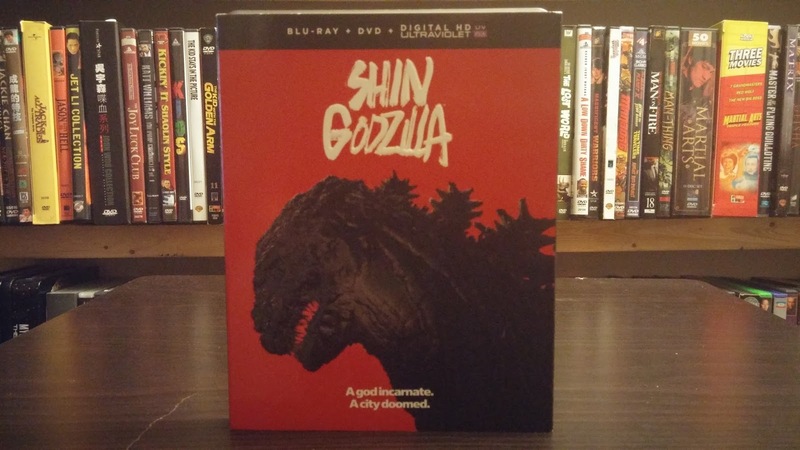 The blu-ray gets the cover art for this release, while the dvd gets a clearer picture of what Godzilla looks like in this film. 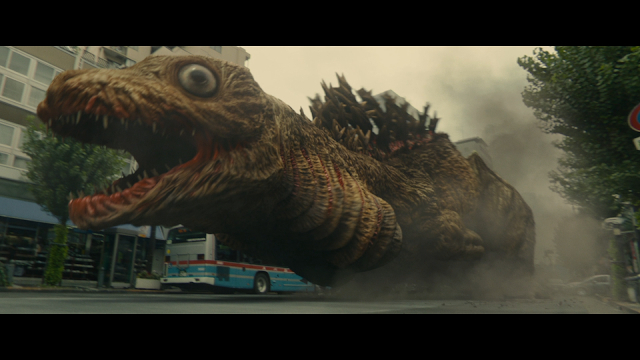 Shin Godzilla looks great. Some may say that the picture looks washed out when inside the government buildings, but that is how the film is supposed to look. 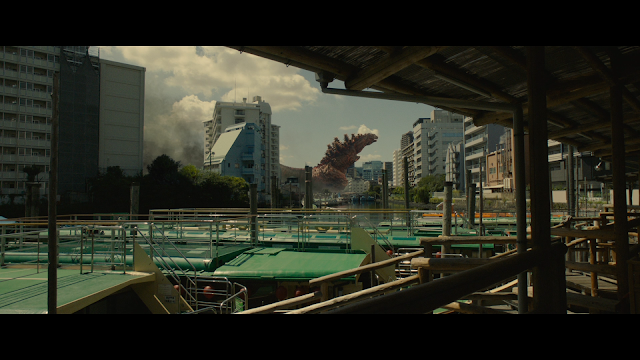 Detail is high, with the shot of Godzilla particularly impressive. There isn't much color going on in the film except for Godzilla himself. He has a red glow happen underneath his scales and it shines through. There is also a lot of color when he uses his atomic breath. 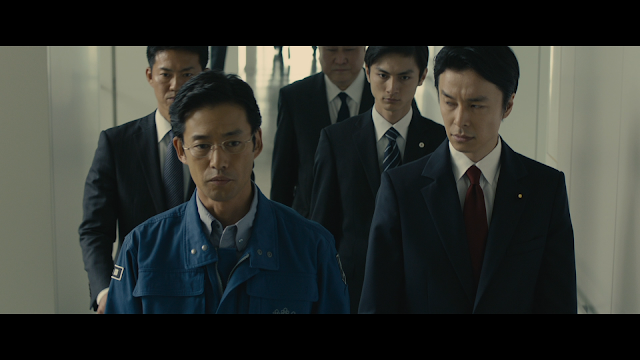 Overall, this is a very nice transfer that matches what I saw in the theater back in October. 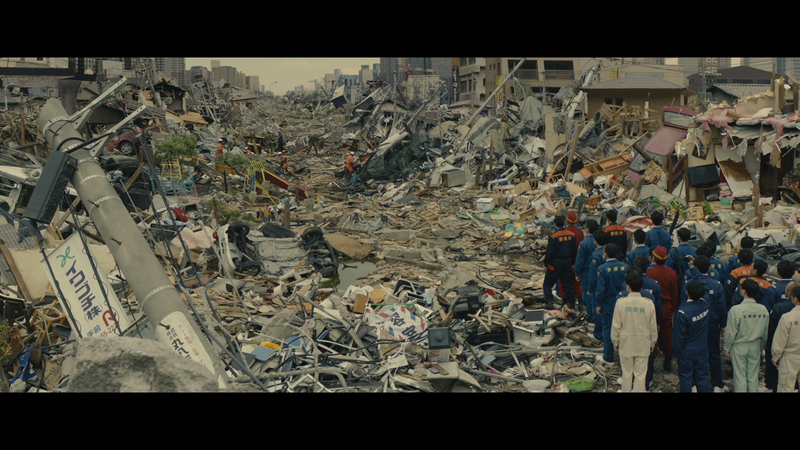 The filmmakers went a very weird route with the sound design for this film. They used a 3.1 model instead of the traditional 5.1 or higher. 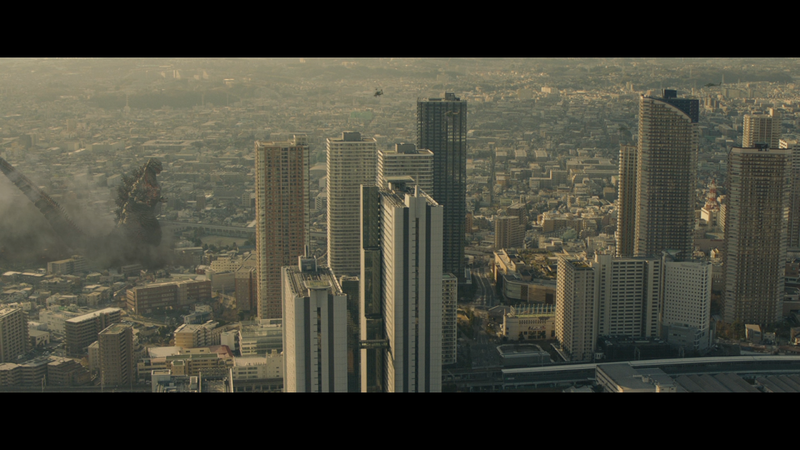 This gives the film a weird feeling of sorts. 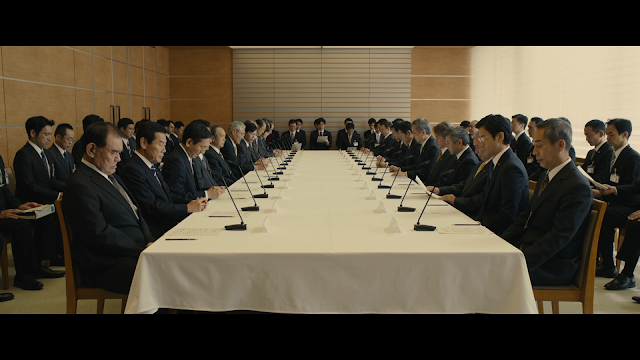 The dialogue is in the usual center speaker, while the score is in the two front speakers. The low frequency rumbles get the LFE. 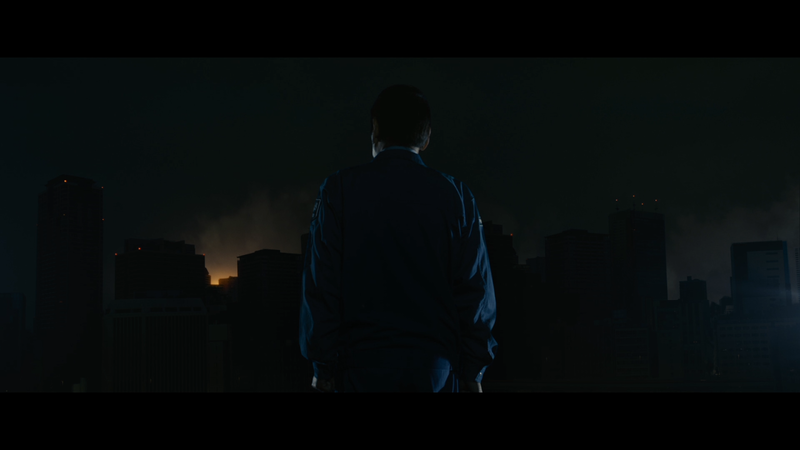 This is weird because, this being a modern film, we expect things to come out from behind us as well. 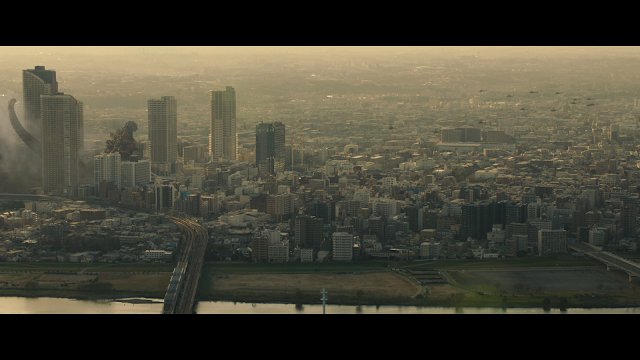 I am really curious why as to why the filmmakers chose this route to go. Anyways, the track is still impressive, with Godzilla making a huge impact. Dialogue is crisp and clean and everything is balanced just right. 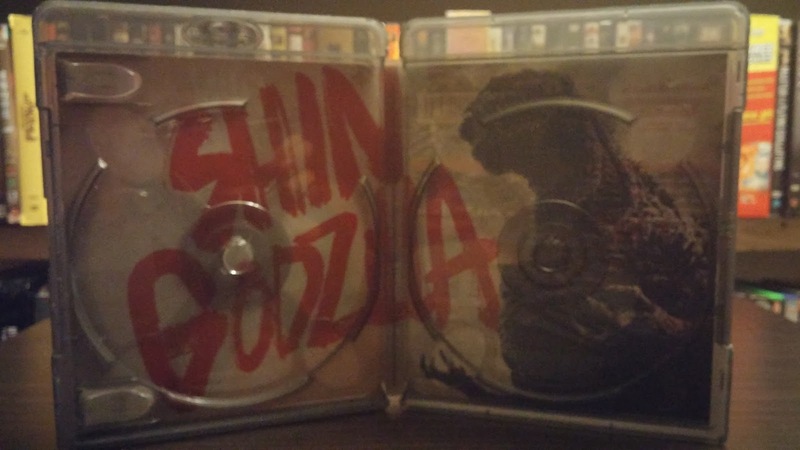 I reviewed Shin Godzilla last October when it played in select theaters for a week. You can read my review here. There isn't much that I can add to my earlier thoughts. 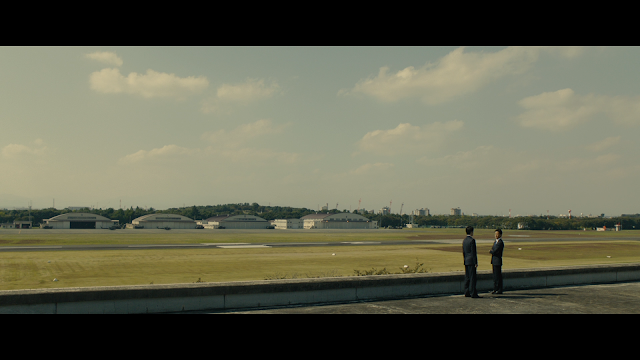 I still think that the film is excellent. 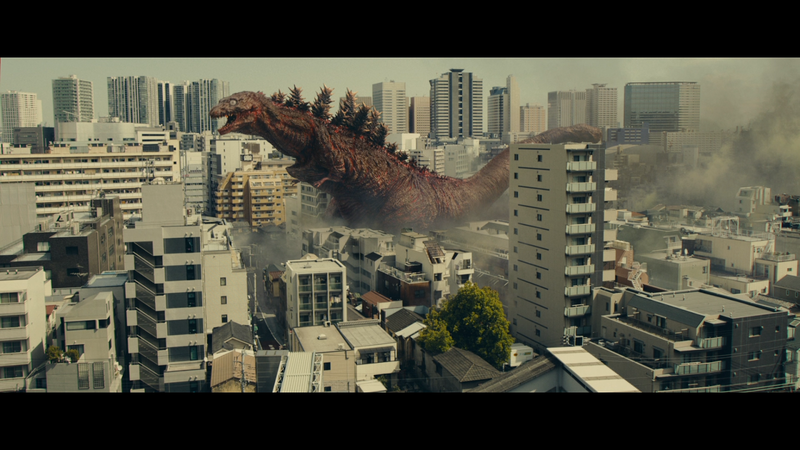 Even though we got a Godzilla film in 2014 from Legendary Pictures, this film seems more immediate. The Godzilla in the 2014 film is never scary while the one here is really scary. The first time that we see Godzilla here freaked me out and did again when I rewatched the film. 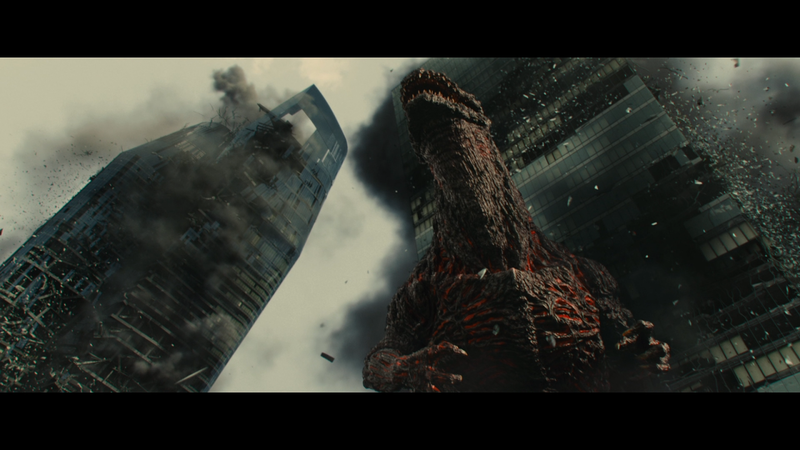 The 2014 film was a grander film, but stay to the tradition of making Godzilla the hero. 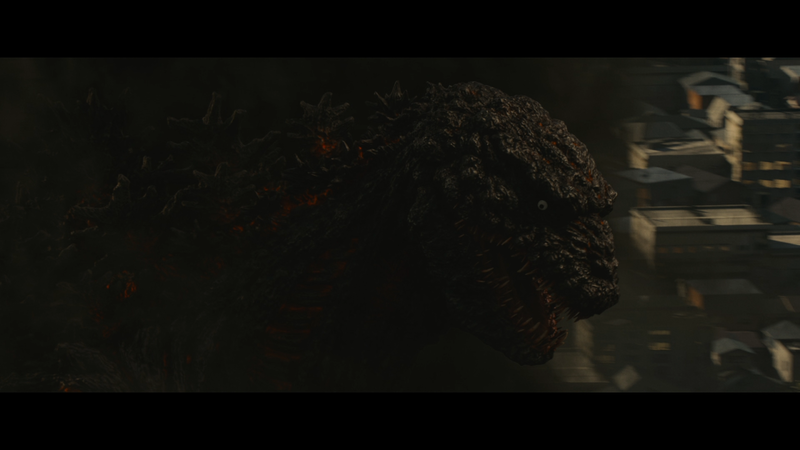 Shin Godzilla sticks with original formula of making Godzilla the bad guy. 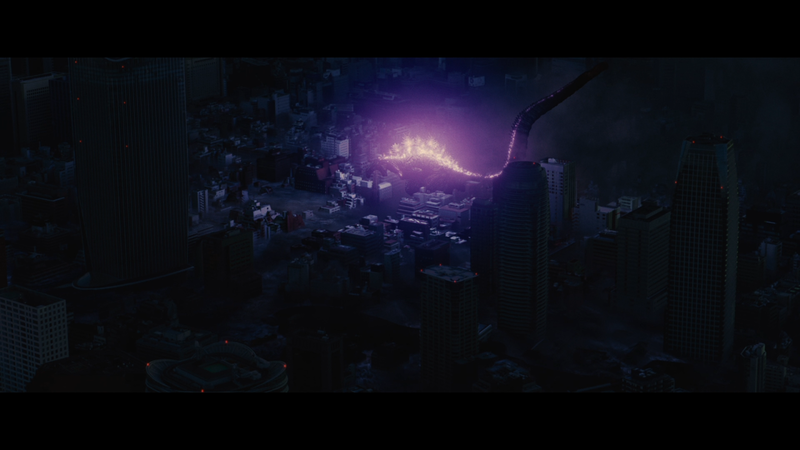 This I liked better as I think Godzilla is a better villain than hero. Still, the film is excellent and should be viewed by any Godzilla or giant monster film fan. Shin Godzilla is a great film that keeps its importance and excitement through to the next viewing. 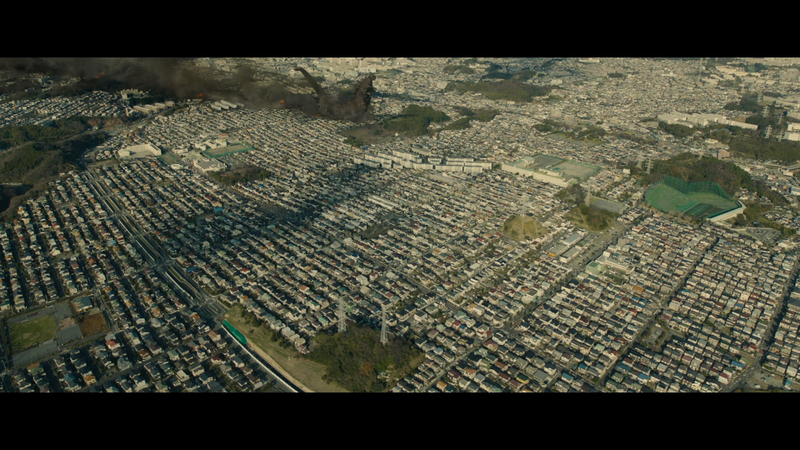 The filmmakers did the impossible and made Godzilla scary again. 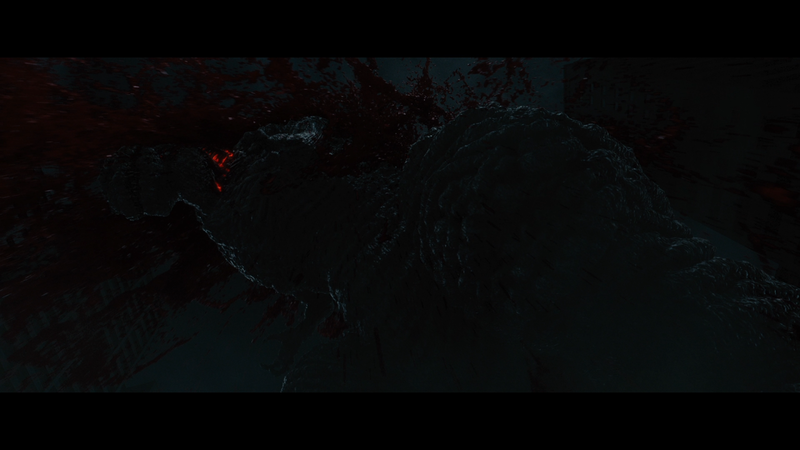 The film also has some truly amazing special effects that should have been nominated for an Oscar. The blu-ray from Funimation is a mixed bag. 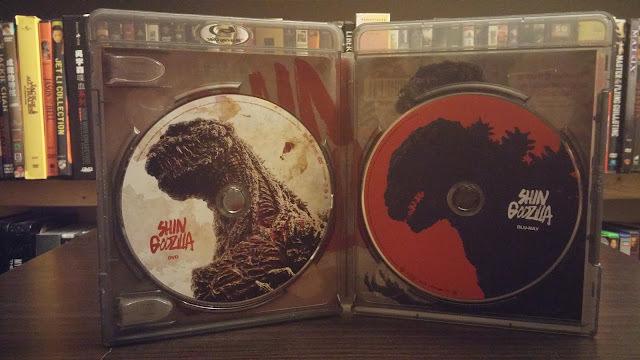 The picture and audio are great, but they really screwed the pooch when it came to the extras. There are so many special features that they could have licensed, but they went with one special feature that wasn't very good. I wish that the company had given the film a lot more love in the special features department, but that is the things go sometimes. MORE SCREENSHOTS ON PAGE 2! !